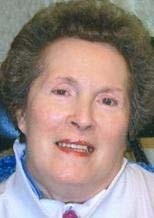 WATERLOO — Carol L. Akin, 75, of Waterloo, died Friday, Aug. 3, 2012 at her daughter’s home. She was born Feb. 27, 1937, in Oelwein, daughter of Ray and Hilda Kastli Dumpman. She married Ethan Thomas Akin on Jan. 22, 1955, and they later divorced. Ms. Akin was a 1955 graduate of Waterloo West High School and was employed by Peoples Finance Co. and later by Waterloo Savings Bank. After retirement she volunteered for the Red Cross, Schoitz Auxiliary and was a board member for the local multiple sclerosis chapter. In 1986 she was a recipient of the Mayor’s Volunteer of the Year award. She also was a member of St. Ansgar Lutheran Church. Survived by a son, Ethan Richard (Janice) of Waterloo; three daughters: Cindie (Joel) Shepard and Sheryl Akin, both of Waterloo, and Jackie (Brian) Chouinard of Cedar Falls; five grandchildren, Abbey, Ethan Adam and Andrew Akin and Nicholas (Savannah Brown) Shepard, all of Waterloo, and Lindsay (Drew) Fayram of North Liberty. Celebration of Life service: 11 a.m. Saturday at St. Ansgar Lutheran Church, preceded by an hour of visitation. Family inurnment will take place in Garden of Memories Cemetery prior to the service. Arrangements by Locke Funeral Home. In lieu of flowers, memorials may be directed to St. Ansgar Lutheran Church or to the family. Carol was a loving mother and grandmother who enjoyed spending time with her family and was a true inspiration to all who knew her.